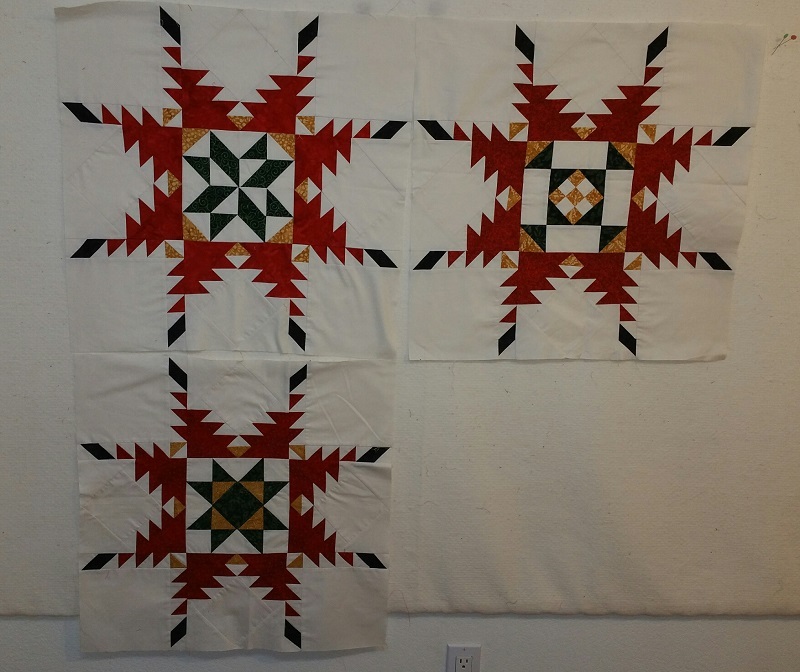 On my design wall this week are the Feathered Star project along with the Sunshine Mystery. Why just work on one quilt when you can work on two. The feathered star is my UFO for November, so trying to get it finished up. After that only one more UFO to go for the year. 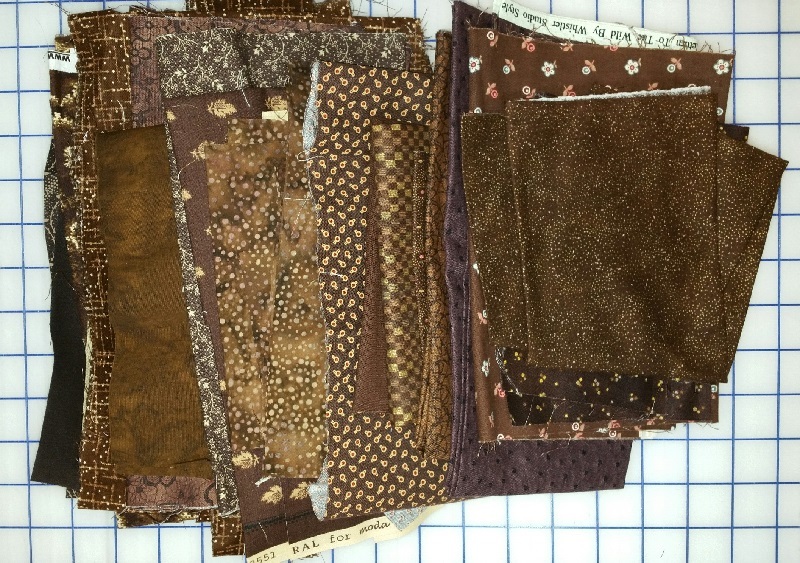 Also starting soon is Bonnie Hunter's annual mystery quilt. The first clue will be published the day after Thanksgiving. If you have not participated in one of her mysteries, I highly recommend it. I have never been disappointed with any of her designs, and her color choices are great. Check it out on her blog. 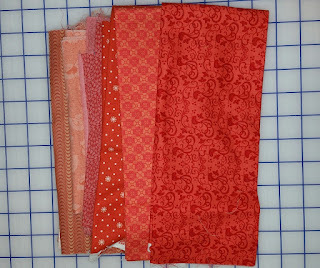 It is called " On Ringo Lake" Below are fabrics that I have pulled from my stash. Will need a few more of the melon tones. 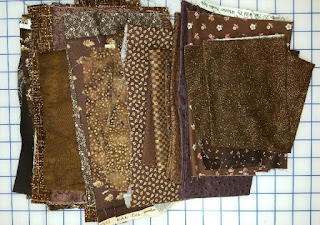 The browns are a little darker than the photo, and I had a lot of those. 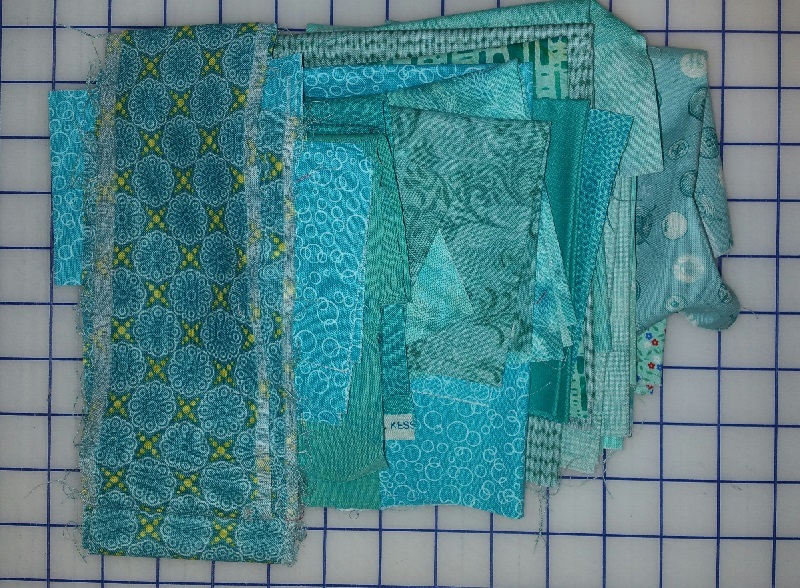 May need a few more of the turquoise colors. Looking forward to the first clue, but I have plenty to keep me busy this week! Have a great week! November is flying by and Thanksgiving and the Holidays are here!! I work a full time job in retail, so this time of year leaves me limited time for sewing. Nothing finished this week but continuing progress on my feathered star. 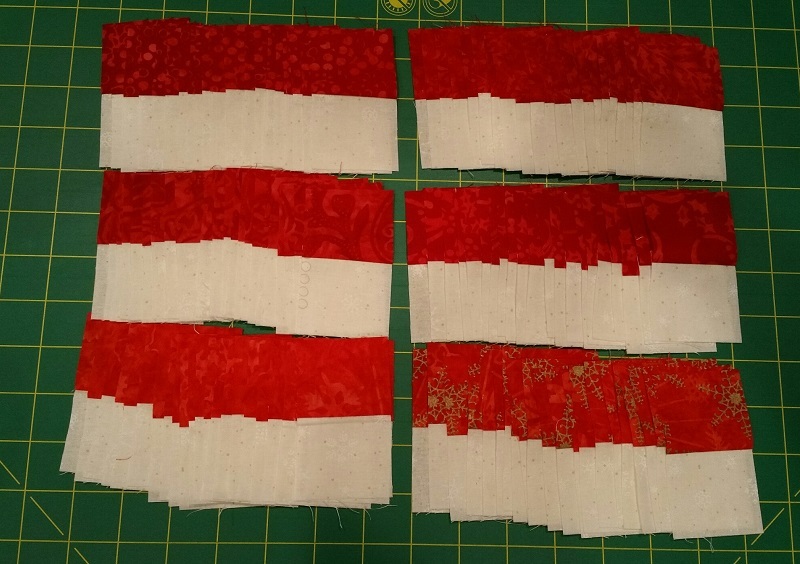 I was going to stop at 6 blocks, each one finishes at 24 inches, but decided to make it square. So I have 3 more cut out and ready to sew and will be working on them this week. 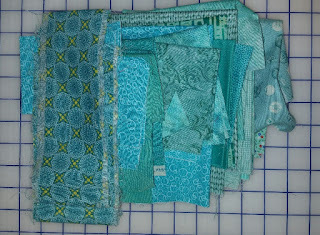 I am also working on our Guild's Mystery Quilt. I have the first clue finished. Mine will be in reds/neutral with a Christmas theme. Below are numbers for the week-no changes yet! 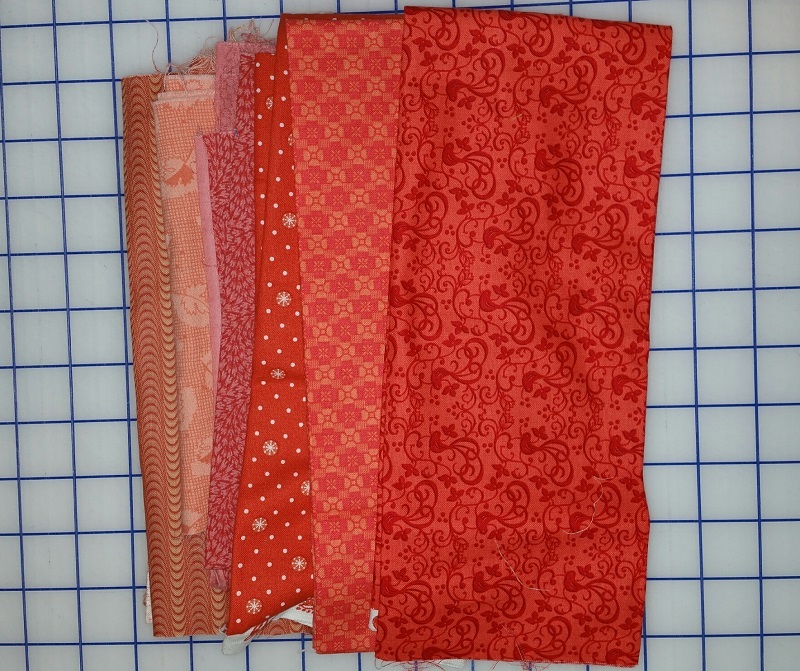 Net Fabric Used YTD: 74.5 yards. A finish this week! A quick easy quilt for one of my great nephews. 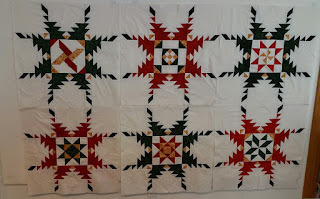 Hope to have this one quilted and mailed off soon, along with the Baby Seuss quilt for his new little sister. 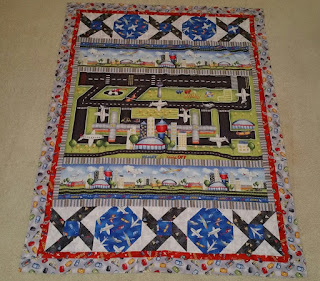 This was a fun quilt to put together and is called Takeoff, pattern by Renae Lindgren. 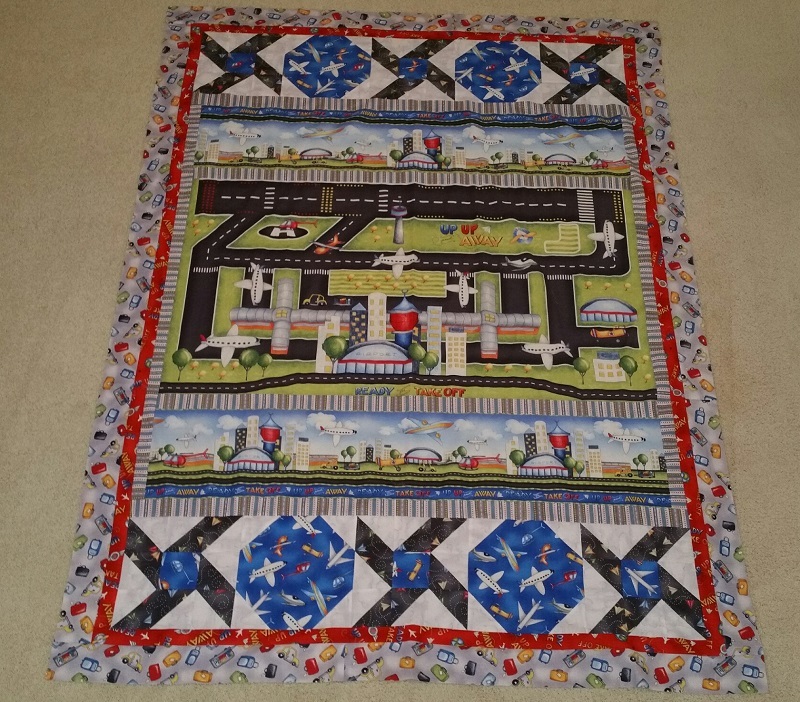 Of course it screams for an airplane quilting pattern. Working on the feathered star blocks today. Maybe I will have one to show tomorrow on my Design Wall. Just a little change in the usage this week. The year is winding down and I have two more finishes in the works. 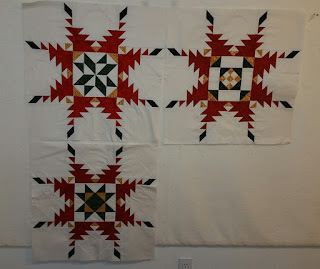 This week on my Design Wall is Megan's Feathered Star by Jodi Barrows, and will be my November UFO. This was started a few years ago in a workshop with Jodi at Road to California. 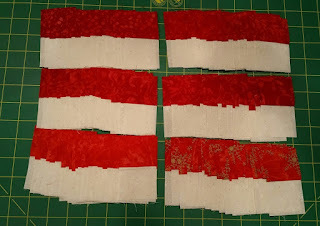 I have 3 more blocks cut out and ready to sew and then will decide if I want to add more. All of the block centers have different patterns. These three blocks are green centers with red feathers. 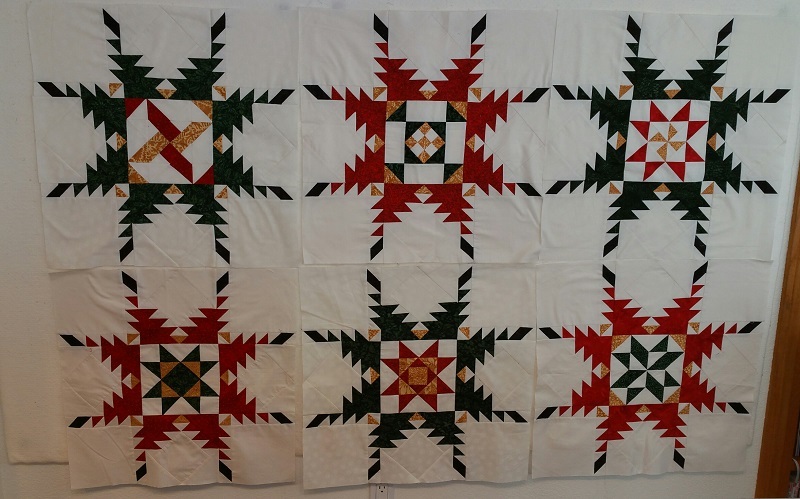 The next three are red blocks with green feathers. Yes, this will definitely have a Christmas feel when it is complete. Check back to see if I am able to make any progress!